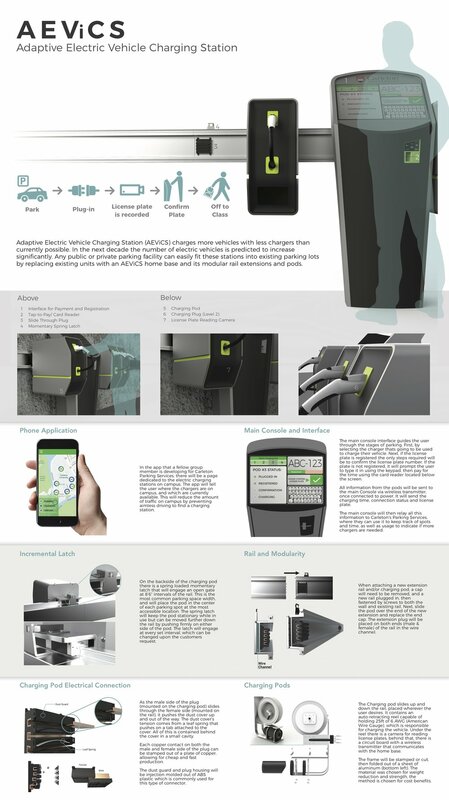 Adaptive Electric Vehicle Charging Station (AEViCS) charges more vehicles with fewer chargers than currently possible. In the next decade, the number of electric vehicles is predicted to increase significantly. Any public or private parking facility can easily fit these stations into existing parking lots by replacing existing units with an AEViCS home base and its modular rail extensions and pods. As a mechanically minded industrial designer, I enjoy dissecting any problem I am faced with in order to understand the root cause and find a solution. I'm looking forward to pursuing a career in the Automotive field after graduation.